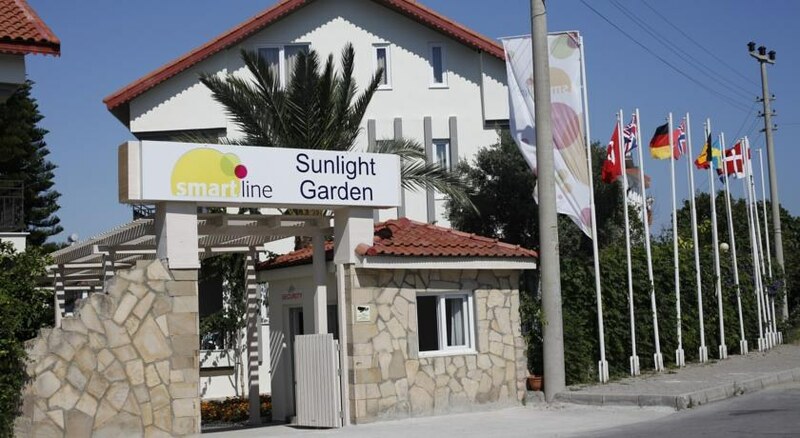 Side, on the southwest Mediterranean coastline of Turkey, is the location for the Sunlight Garden Hotel, ideally situated between easy walking distance of Side town and the beach. Couples and families are welcomed at the Sunlight Garden Hotel which offers an All Inclusive option and has accommodation of 85 apartments and 10 villa-style apartments, both with kitchen facilities. You can savour a fine restaurant offering all-day buffet dining, a poolside bar with snacks and beverages, a Mini Club, pools and playground for the children and two swimming pools for all the family. Relax and rejuvenate in the Turkish bath, have some fun at table tennis and billiards, and hit the golden beaches only 500m away for more fun and sun. Escape from your normal routine and book into the Sunlight Garden Hotel at Side to experience the hospitality and warmth of Turkey. 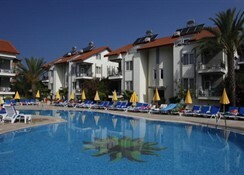 Getting to the hotel: 60km from Antalya International Airport. 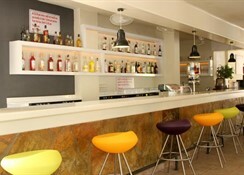 Local tips: 2km to Side town centre and 500m from the beach. Side is 7km west of Manavgat and 75km east of Antalya. Please note rates and condition are only valid for UK Passport holders. Food, drink and entertainment: Main restaurant which offers all-day dining consisting of international buffet breakfast and lunch, afternoon tea poolside of pastas and pastries, and evening buffet dinner of international cuisines; main bar and poolside bar. Sport, games and activities: 2 spacious outdoor swimming pools, sun terraces with loungers & parasols, a Turkish bath, table tennis and billiards; and easy beach access. For the kids: Mini Club, 2 children's pools and a playground. 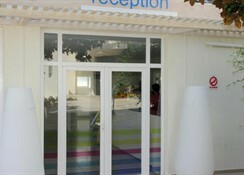 Additional: 24 hour Reception Services, housekeeping, internet rooms, markets available, photo shop, hairdresser, parking available and beach transfer service, together with other standard front desk services. Guest accommodation has a tasteful smart decor of pastel or pale interiors, drapes and fabrics to complement in tone, stylish wood furnishings on cool tiled flooring and modern amenities for your convenience; features include a private furnished balcony with garden and pool view, individually controlled air-conditioning, private bathroom with shower, 2 double bedrooms, kitchen, telephone, mini fridge and safe box (extra charge). 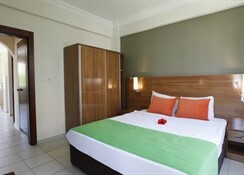 Villa accommodation is spread over 3 floors and designed and furnished accordingly for greater comfort. 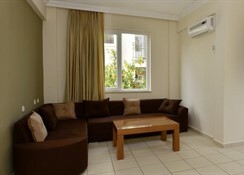 All accommodation provides for up to 4 adults and 2 children. Meals:Breakfast, Buffet, Restaurant, Daily: 07:30 - 10:00.Lunch, Buffet, Restaurant, Daily: 12:00 - 14:00.Dinner, Buffet, Restaurant, Daily: 19:30 - 21:30.Afternoon Tea; Coffee Break, Pool Bar, Daily: 16:00 - 17:00.Drinks:Locally produced Alcohol; Locally produced non Alcohol, Pool Bar, Daily: 10:00 - 23:00.Sports/Activities:Table Tennis; Mini Club.